Identification of a specific infectious agent for a precise infection or a disease is done in clinical presentation like for instance, in gastrointestinal disease and in bacterial skin infections. Diagnosis is done by consultation of patient’s medical history, physical examination and the diagnostic tests. 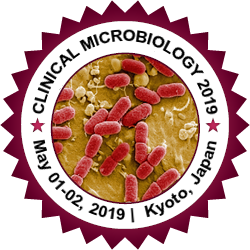 Diagnostic microbiology laboratory plays a crucial role in diagnosis; however the conclusive analysis of the resulting causative agents is concluded only by experts. Isolating of microbiological culture is the primitive approach for isolation of the causative organism in the laboratory which is then closely followed by the biochemical tests and then advanced serological assays and the final step is the polymerase reactions. In drug resistance the microbial cell mechanically ceases the uptake of a drug, while some resist drugs eventually by formation of the Biofilm by annexing itself to the surfaces of medical device like catheters and prostheses. Regular intake of natural probiotics provide positive health benefits by improving gastrointestinal health by increasing the number of bacteria or by inhibiting pathogens.